On. Jan. 16, Jason Delpriore bailed out of the Anchorage jail. The 35-year-old was accused of stealing a car. As a condition of his release, the judge ordered Delpriore to report within 24 hours to Alaska's pretrial enforcement division, known shorthand as P.E.D. The new, state-run office provides court-ordered monitoring for defendants who are released on bail, previously a function of private agencies that did the work if defendants had the money to pay them. A week and a half later, Delpriore was back in jail. He had never contacted the supervision office. A warrant was issued before his arrest. At his arraignment, Delpriore had an explanation. "Your honor, I had no idea what a P.E.D. was," Delpriore told Herman Walker, the presiding judge in jail court that day. 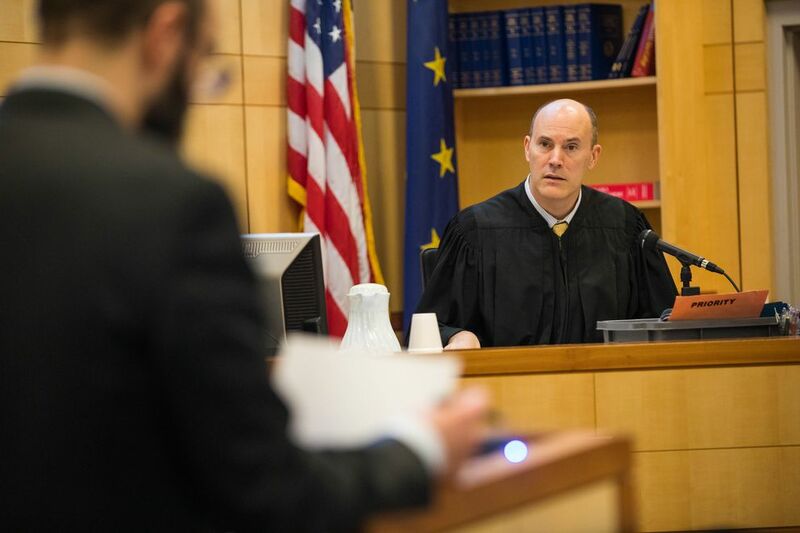 One month after an overhaul of Alaska's bail system took effect, judges, prosecutors, defense attorneys and the accused are still learning how to navigate the changes, including the new methods of monitoring defendants out on bail before trial. Judges are now supposed to more directly link bail to a defendant's risk of skipping a court date or being arrested for a new crime, with the help of a computer algorithm built by a Boston-based institute. The idea is that bail should be based on objective measures of risk, instead of a defendant's ability to pay a fee set by a judge — a framework that backers of the overhaul said discriminated against the poor. 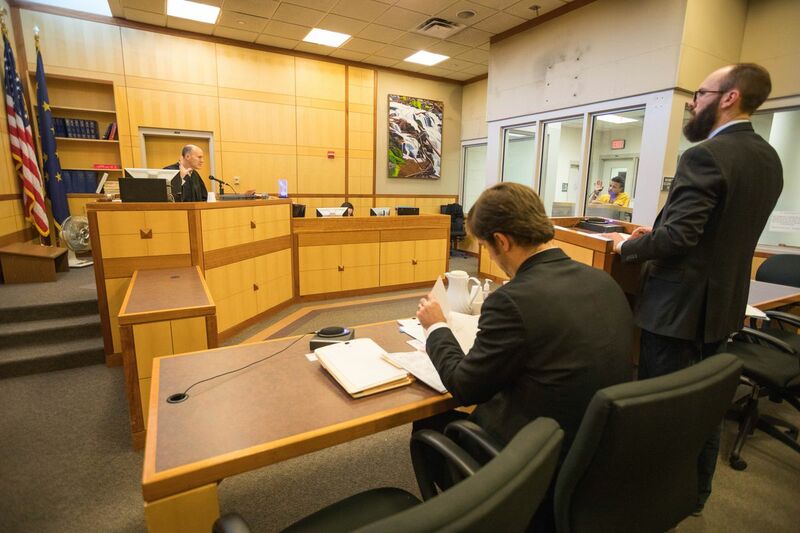 Bail and pretrial supervision are pieces of sweeping reforms to Alaska's criminal justice laws that have taken effect since 2016. Supporters of the changes say they gives low-risk offenders options other than jail, helping to keep lives on track and reduce recidivism rates by cutting down on the likelihood people will lose jobs or homes. It's also much cheaper to monitor someone who's out on bail awaiting trial than to keep them in a state-run prison, officials say. Critics of the original law, Senate Bill 91 or SB 91, say the changes have softened consequences for criminals. The new law says that a person scored as "low-risk" and charged with a misdemeanor, such as shoplifting or trespassing, will be released from jail without paying money bail. Judges can set other conditions in place of money bail, like supervision, ankle monitoring or alcohol testing. Defendants accused of more serious crimes may still have to pay money to get out. On a recent Friday in Anchorage jail court, more than 30 people were arraigned on new criminal charges. Very few were assigned money bail. A large number were told to check in with the pretrial supervision office. In the case of Delpriore, the accused car thief, public defender Daniel Lowery had an explanation for why Delpriore never contacted the supervising officers. Delpriore didn't have the right state of mind when he was released Jan. 16, and was confused about what he was supposed to do, Lowery said. He promised that Delpriore was now "clear-minded" about the future. "He will follow it to the letter," Lowery said. Again, Delpriore was released. Walker ordered him to contact pretrial supervision officers. One 31-year-old man accused of low-level assault muttered under his breath while Walker asked him questions, pushing back stringy, long hair. Walker said he was not ordering money bail, but he was putting the man on supervision. "I don't need to be babysat or anything," the man said. "That is what I'm putting you on," Walker said, firmly. "You're getting out, you have to report to somebody." Another man, accused of stealing a car, had scored a 10 on the risk assessment, the highest score possible. His prior criminal history included breaking his release conditions earlier in January and failure to show up at prior hearings. Walker, the judge, consulted paperwork in front of him. He settled on cash bail of $1,000. It was necessary to protect the community, Walker told the courtroom, and make sure court orders were followed. In urban areas, prosecutors and corrections officials say the system has been functional, for the most part. As in Delpriore's case, there's been some glitches and confusion. Corrections officials couldn't immediately provide data on whether the rate of people arrested for bail violations had gone up or down since the new system took effect. But several hundred people were being actively monitored in the state as of Thursday. Pretrial officers are based in Anchorage, Fairbanks, Juneau and Palmer. Supervision can include breathalyzers and ankle bracelets that detect alcohol use, said Geri Fox, director of the state's pretrial division. In far-flung towns off Alaska's road system, the changes have been slower to arrive. In Bethel, where Internet is patchy, the courts have had slow access to risk assessment reports, said district attorney Stephen Wallace. There are also limited options for supervision. State officials hoped to work with local police departments or village safety officers to monitor people out on bail. Such agreements have been put in place with local agencies in Haines and Cordova. But some rural police officials have declined to participate, saying the state isn't appropriately compensating for the work. Kelly Swihart, the chief of the Petersburg Police Department in southeast Alaska, said the state had dramatically cut its funding for contracts with his agency. "The state instituted this reform, but they don't have all the bugs worked out, and they're not providing us the resources to do it," Swihart said. In Nome, where there are fewer resources and no pretrial supervision officers, such supervision orders appear to be less common. John Earthman, the district attorney who supervises Nome and Kotzebue, also said that risk assessment scores came up only a portion of the time. He also said judges were exercising considerable discretion, and in some cases overriding a defendant's low risk score. This month, Gov. Bill Walker introduced legislation that would allow judges to consider a defendant's out-of-state criminal history in deciding release conditions. That factor has not been included in the state's new risk assessment algorithm because of limitations on FBI data, according to Fox. She called it a "known problem" with the tool. The issue arose in an Anchorage case this month, where a California woman suspected of being an accomplice in a Northway Mall shooting received a low score on the state's risk assessment. The woman had felony convictions in California, but that was not reflected in her score, and she bailed out of jail. Anchorage district attorney Rick Allen said the case highlighted a need for Walker's legislative fix. But Allen said he hasn't otherwise seen too many serious problems with the new system. He said he generally supports the idea of the reforms. "We need to work out the kinks," Allen said. "But this is a 21st-century, smarter, fairer way to do this stuff than the traditional cash bail model."